VANCOUVER — They met each other through golf, back when they were 8 or 9 years old. They played in junior tournaments together. And when they reached high school, playing for different teams in different classifications, they cheered for each other. Thursday, Brian Humphreys and Spencer Tibbits played a practice round together for the Royal Oaks Invitational. Golf introduced them. Golf has done so much for both of them. And golf still gives them a chance to give each other a hard time, talk a little trash out on the course. Nothing too outrageous. Or, least nothing they are willing to share. Humphreys joked that he has his clean image to maintain. To be fair, there is genuine respect between the two. Both earned the Royal Oaks Scholarship Award which allowed them access to the course and training facilities. Both won state championships in high school. Both are playing Division I college golf. In fact, they played with each other several times this past academic year, with Humphreys’ Boise State team seeing Tibbits’ Oregon State squad at several tournaments. 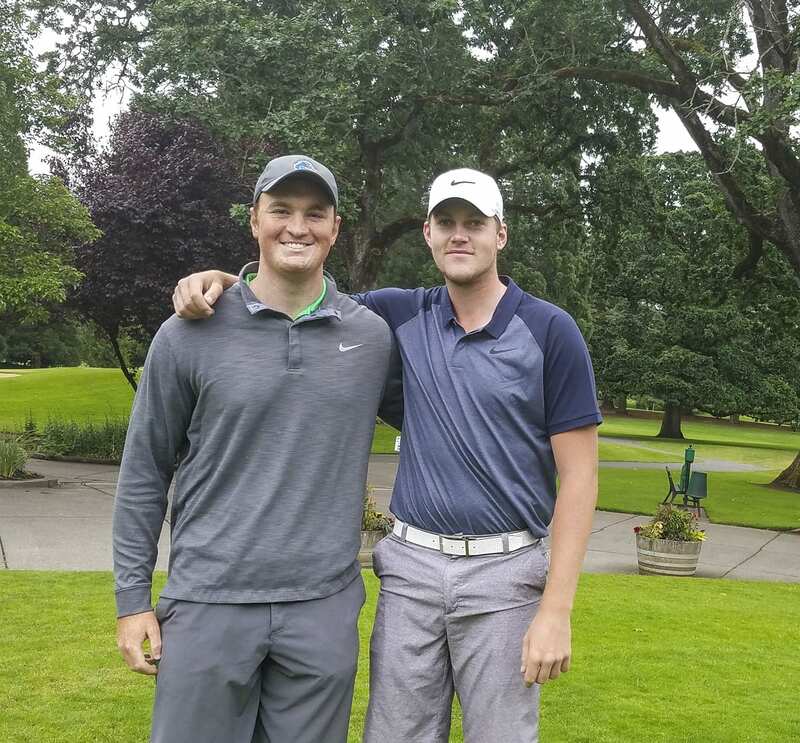 This weekend, they will be competitors again in one of the most prestigious amateur events in the Northwest. 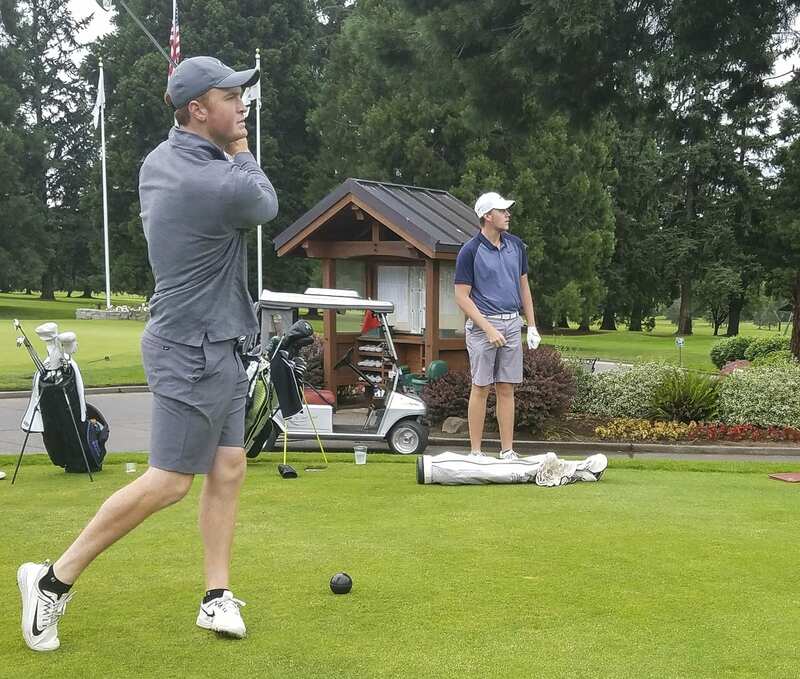 The three-day tournament includes more than 170 golfers, with many coming from college programs throughout the west. 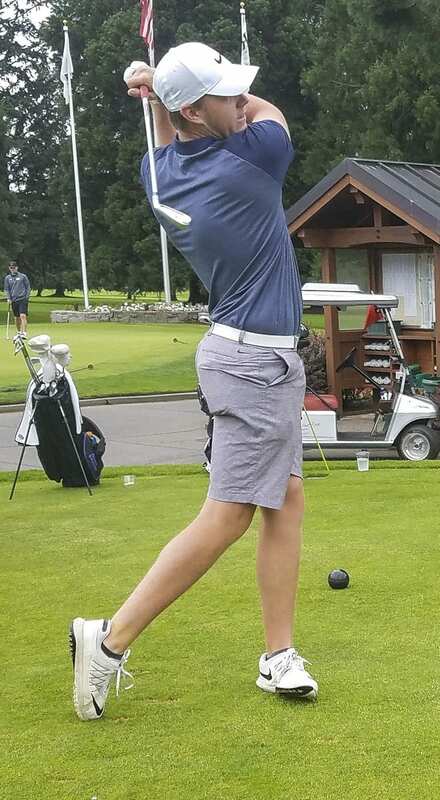 Humphreys became a name in high school golf when he won the Class 4A state title as a freshman at Camas High School in 2013. Tibbits won the Class 3A state title as a freshman at Fort Vancouver in 2014, then went on to win two more state championships for the Trappers. That whole 3-1 score in state titles? It probably comes up from time to time. “We’ve always been super competitive with each other,” Humphreys said. Tibbits also held a slight advantage in scoring in college golf this past season. A freshman at Oregon State, Tibbits was at 71.85 while Humphreys, a sophomore at Boise State, was at 71.86. Which leads us to the Royal Oaks Invitational. Humphreys said he does not know what his best finish has been in this tournament. He has played the last four years. “I haven’t won yet. That’s all I need to know,” Humphreys said. Tibbits, on the other hand, does have a Royal Oaks title, from 2016. Tibbits did not have to say much. A smile said it all. Seriously, that 2016 title was special for Tibbits. Competing in this event means a little more to both of them, as well, because the club has done so much for their careers. Plus, it is the Royal Oaks Invite, a tournament that started in 1957. They have different tee times for the tournament’s first two rounds. Tee times and foursomes for the final round — Sunday — are determined by scoring from the first two days. The leaders will tee off last. A practice round on Thursday to preview the tournament was one thing. If they are together in the final round, they are both hoping it will be late in the day.